Seals are a charismatic species often featuring as the poster child for marine environmental protection and sustainability campaigns. Yet, historically, they have been hunted, often to the brink of extinction. In South Australia, the relationship between seals and marine stakeholders, especially fishers is emotionally contentious. After years of being exploited , seal numbers especially of the Fur Seal are coming back to a more sustainable range. While not yet safe from being threatened, this rise has nonetheless led to fisher anger and distress, with the growing perception that seals are impacting so much on their economic livelihoods that fishers are in fact themselves becoming an ‘endangered breed’ , and on the brink of managing unsustainable businesses. This paper reports on a perception study undertaken on this issue, and provides insights into how it has become important in policy domains. The paper concludes with some reflections on how information about perceptions can be used to enhance policy about sustainable food production as well as for species management, with positive outcomes for fishers and seals alike. Dr Melissa Nursey-Bray is an Associate Professor and currently Head of Department in Geography, Environment and Population (GEP), and the Coordinator of the GEP Masters Dissertation Program. She is currently co-theme leader for the Indigenous theme of the Social Economic and Institutional Climate Adaptation Research Network and is leading projects in fisheries management in partnership with SARDI and FRDC. She is theme leader for adaptive governance as part of the Asia-Pacific Governance Research Centre and a member of the Fay Gale Centre for Gender Research and CHURP. She is also co-theme leader of the National Climate Change Adaptation Research Network for Marine Biodiversity, co-theme leader of the NCCARF SEI network (Indigenous theme), Chair of the REDMAP Community Advisory Committee, and an Honorary Tyndall Fellow (2009). Melissa’s research interest is the examination of how communities or communities of interest become involved in decision making and in this context she has worked primarily in the area of Indigenous resource management, protected area management, and more recently in climate change adaptation. 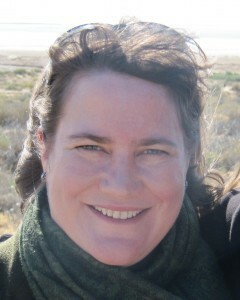 Her work with Indigenous peoples has included training Indigenous rangers on country, and development of community based management plans, such as the Hope Vale Turtle and Dugong Management Plan, the Girringun Co-management agreement along the Great Barrier Reef and the Arabana Climate Change Adaptation Strategy. As a member of the National Institute of Marine Conservation and Resource Sustainability (UTAS, Tasmania), Melissa was active in building research in climate change adaptation for fisheries and local government.